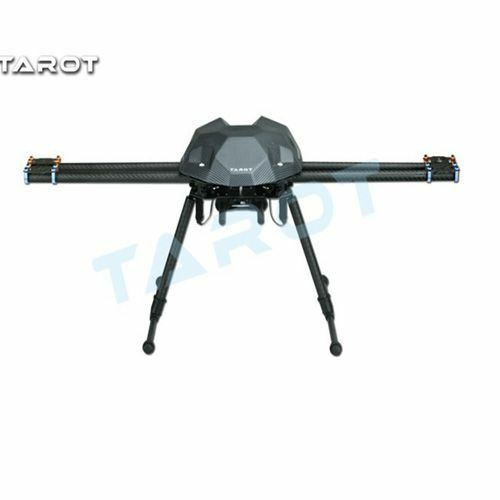 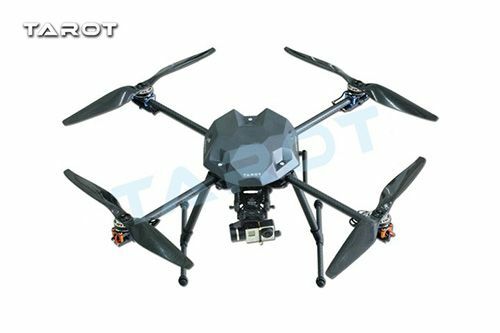 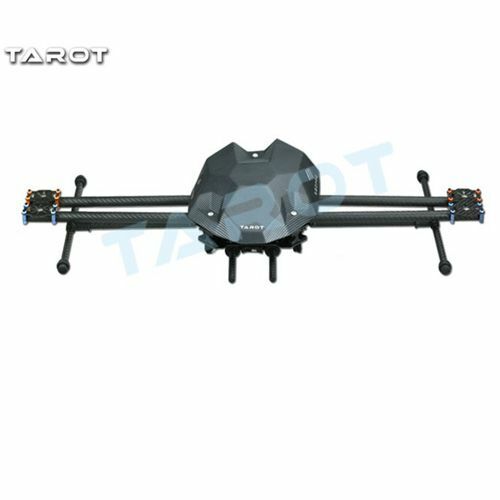 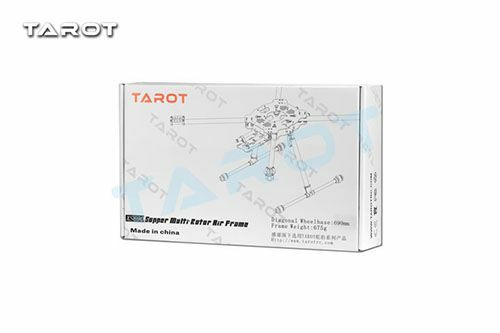 TAROT 690 SPORT Quadcopter Rack 680 series racks replacement, TAROT innovation designed by the company, with a number of patented technologies. 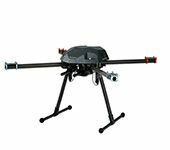 XS690 comes standard with new electric folding tripod, electric retractable tripod controller TL8X002, its center of gravity lower and more stable large installation space optimized design, exterior design has a strong impact perspective. 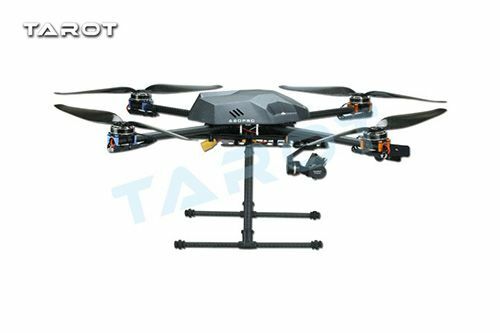 Equipped with high-strength body panels made of pure carbon fiber board processing, re-design space to provide adequate space for the installation of the flight control system. 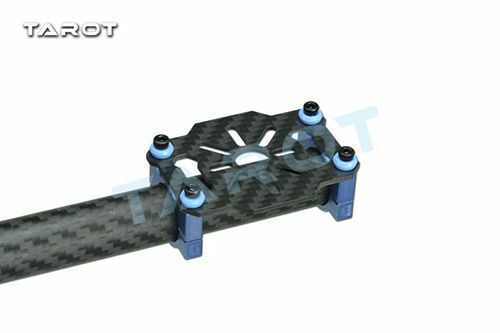 Simple motor designed for long empty seat lightweight better basis. 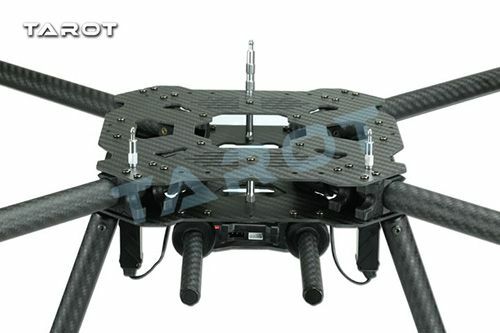 Overall design perspective with a strong impact, provide a good visual direction for the body in the air. 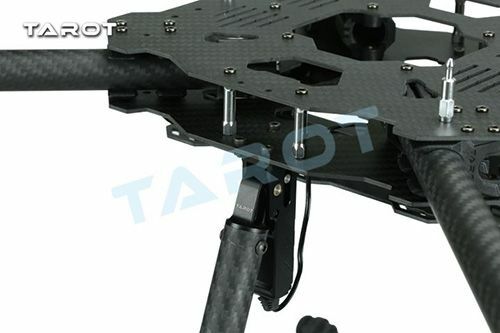 TAROT XS690 axis aircraft rack for portable users requiring high design, particularly suitable for applications monitoring, remote sensing, mapping, airborne reconnaissance, observation of fire, life exploration, cable transmission line, farm monitoring, and other mobile high performance requirements, Loading equipment is not required and a longer flight time of application fields blank.